Deutsche Welle and Al Hayah TV have officially started their cooperation tby producing the first episode of Shababtalk in Cairo. 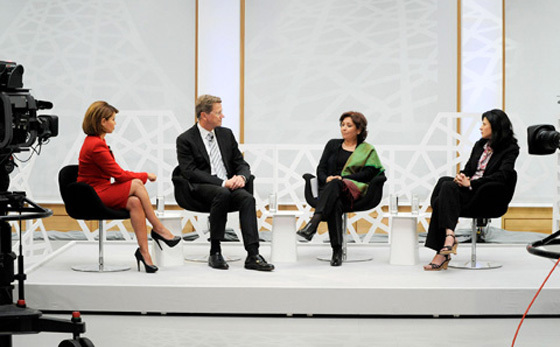 The coproduction is one of four new, regionalized talk shows that focus on the Arab world. 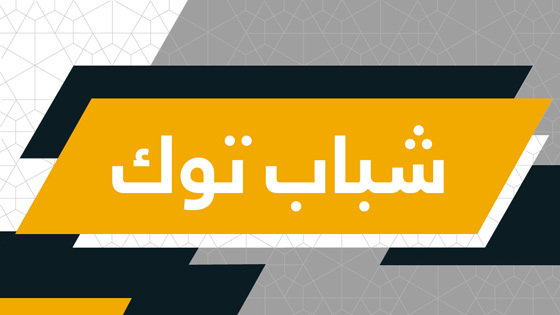 Shababtalk is a talk show for the future, which brings together young representatives from the democratic movement in Egypt with their German counterparts from youth organizations, political parties and other associations. The 30-minute show will alternate being produced in Berlin and Cairo each week and broadcast on DW-TV ARABIA and Al Hayah TV. This new coproduction is just part of Deutsche Welle’s international strategy. By introducing new, regionalized productions, the broadcaster is helping improve the connection to its viewers around the world. Along with Shababtalk, DW-TV ARABIA is also introducing a range of new talk shows, each covering a different facet of modern life. This year marks the 10th anniversary of 9/11 and Deutsche Welle is remembering how this one day would change the world forever. With 9/11 and the global consequences, DW brings you insights and opinions from around the world. DW’s editorial team is also looking for your input – How did 9/11 change your life or worldview? Submit your thoughts, photos (with short descriptions), or both.